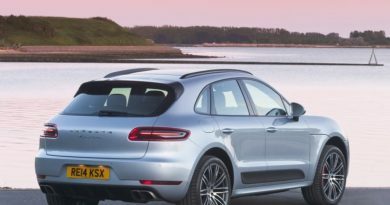 2018 Porsche Cayenne is getting launched in India very soon. We say this because Porsche dealers across the country are accepting bookings for it. When will the Porsche Cayenne actually launch, we don’t know. But It could happen within a month. The new Cayenne will share MQB platform with the Lamborghini Urus, Bentley Bentayga, Audi Q7 and VW Touareg. The new Cayenne is said to be around 65 kg lighter than its predecessor. The interiors of the new Porsche Cayenne have been completely updated and won’t feel outdated for many more years. It combines analogue gauges with digital readouts, carrying over the rich history of Porsche into their future models. Like the Panamera, there is a 12.3-inch Advance Cockpit concept touchscreen. Like the Lamborghini Urus, the new Porsche Cayenne also features rear-wheel steering. It gets five programmable driving modes and chassis modes. Accompanying this is the adaptive air suspension technology. All this makes the new Cayenne highly adaptable to any kind of driving terrain and to the driver’s liking. When launched in India, the pricing is can be expected to hover around Rs 1.2 crore. And it will compete with cars like Lexus RX, BMW X6, Land Rover Range Rover, and Mercedes GLE. 2018 Porsche Cayenne is about to launch in India. We know because Porsche dealers are accepting bookings.